Rich, moisture retentive soil which has had compost dug in. Yes, survives winter with mulch in milder areas. 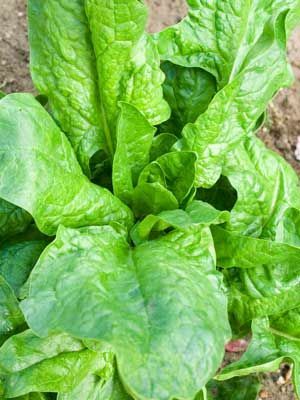 Not needed for spring crops grown in rich soil, but older plants benefit from feeding with a liquid feed during the growing season, when they show vigorous new growth. Celery, Eggplant, Strawberry and Radish. Best sown during the cooler months. Can be sown in containers during cold weather or sown direct if not too cold. Keep well watered. Hot or dry conditions can make it bolt (run to seed) which reduces production of usable leaves considerably. Sow another crop in late summer/early autumn. Pick a few leaves at a time to allow the plant to continue producing more. Slow growth and yellowing leaves indicate nutritional stress. Drench with a water soluble plant food.